All local patients with general hepatology problems should be referred via the Devon Referral Support Services form. Guidance is available on the South & West Devon Formulary and Referral page. Please ensure pre-referral criteria, if applicable, are contained within the referral letter as referrals may be returned if not. For patients with painless jaundice that is not suspicious for malignancy please refer via the Fast Track Jaundice form, which is available on the South & West Devon Formulary and Referral page. 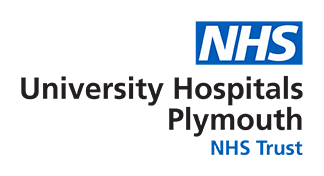 All local patients with a suspected pancreas / biliary / liver tumour should be referred via the Upper GI Two Week Wait system, which is available on the South & West Devon Formulary and Referral page. For tertiary patients in whom a diagnosis of HPB cancer has already been made then a written referral can be e-mailed directly to our consultants for surgical / MDT opinion and or discussion before referral via the video-link MDT. Consultants can be contacted via their secretaries, or via switchboard if urgent. Secretaries can answer most queries regarding existing appointments and booked investigations. A consultant surgeon is always available out of hours, and can be contacted via the switchboard or on-call general surgical registrar. A consultant is always available out of hours, and can be contacted via the switchboard if urgent.